Thick and beautiful hair for days. Hair loss can sometimes be such a hassle to deal with. Not only that, but it also brings down your self-confidence. So, keep your head held high because we got your back… or shall I say hair? 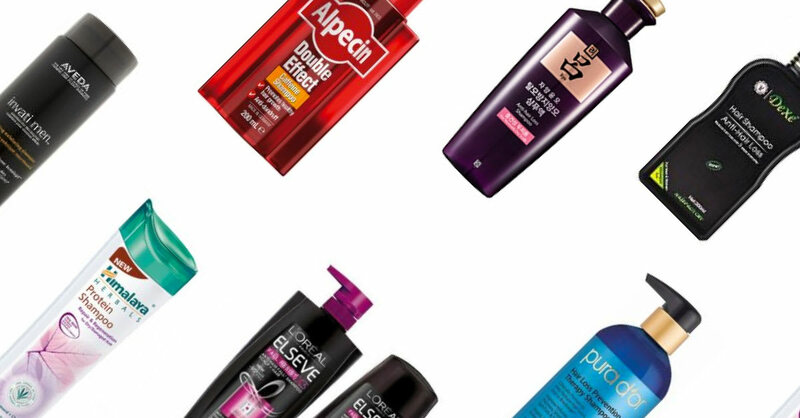 Here are some of the best hair loss shampoos that will help bring back your confidence. If you are all about that organic life, this is the perfect shampoo for you. This organic shampoo prevents hair loss by using natural ingredients to detoxify the scalp and promotes hair growth by strengthening the hair. It is also chemical free, making it safe to use daily. Repair and strengthen your hair by going all herbal. This shampoo contains protein that helps your hair become stronger and also promotes hair regeneration and hair growth. On top of that, using this shampoo will also protect your hair from future damage. Give this duo a try if you are looking for an affordable hair loss shampoo and conditioner. This bundle helps nourish the scalp while strengthening the hair all the way from the root to the tip. Using the conditioner together helps moisturize the hair, leaving it smooth and soft. One of the best sellers, this Korean shampoo is perfect for those who suffer with hair fall that is caused by weak hair follicles, nutrient imbalance or even stress. This shampoo strengthens the hair and protects weak roots while giving moisture to the hair. It uses ginger to provide vitality and green tea that consists of Catechin and Theanine to clear your head and destress you. This shampoo is made for men facing hair loss – women are not the only ones who want a thick head of hair! It exfoliates the scalp which helps in removing excess sebum that’s clogging your pores. Additionally, this shampoo nourishes and conditions to strengthen thinning hair, reducing any hair loss from breakage. Caffeine is known to promote hair growth and proven to slow down hereditary hair loss. If you also suffer from dandruff, you can now have best of both worlds. This shampoo promotes hair growth and at the same time removes dandruff. It also protects the roots of your hair from premature inactivity. Dove never fails to surprise us girls. This hair fall rescue shampoo contains a unique formula called Nutrilock that locks in nourishment and protects your hair from hair fall. This treatment nourishes the roots, giving you visible results of more volumized hair. This shampoo is made for men facing hair loss – women are not the only ones who want a thick head of hair! It exfoliates the scalp which helps in removing excess sebum that’s clogging your pores. Additionally, this shampoo nourishes and conditions to strengthen thinning hair, reducing any hair loss from breakage. No one likes a balding head, especially when it’s right in the front of your head. This shampoo is made from luxurious herbal medicine, which helps reduce hair loss. Long term use of this shampoo helps repair the roots, leading to stronger and thicker hair.